Welcome to AAA Custom Pools located in Greenville, S.C. We professionally construct and repair swimming pools to the highest standards. Our professionally trained and qualified staff will provide you with the excellent results you deserve. We guarantee your satisfaction each and every time. We want our customers to be happy, so we will do everything we can to make sure you are 100 percent satisfied. If you are not content with our work, let us know and we will fix it, no questions asked. 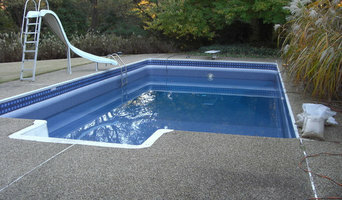 Johnson Products Co. was founded by Ben Johnson, who began installing steel wall vinyl liner pools in 1967. Ben and his son Randy continued to build residential vinyl liner pools and commercial concrete pools into the early eighties at which time they entered into wholesale distribution. Ben Johnson passed away in 1984, but his son Randy continues to carry on the tradition of offering quality products, top value, and personal service. In the early nineties, Randy saw the need for a complete pool package that would be easier and faster to build by placing all the material on the jobsite at one time. This would eliminate expensive trips to the local hardware store, end confusion about what you need to purchase next, and bring consistency to the jobsite by having the same components on every pool. This single source, one delivery concept, took off and is still the most efficient way to build. We were also one of the first distributors in the area to deliver pool kits to the jobsite and continue to offer this service today. We always feel privileged to serve our customers, and we think of ourselves as an extension of your company by providing you with top quality products, being sure that they are compatible with other products on the jobsite, and having them there on time. Atlantic Pool Supply is a national distributor of inground swimming pool kits for do it yourself installation and products products across the United States. Our Precision Pool packaged ingound pool kits are composed of the components from leading manufacturers in the pool supply industry. 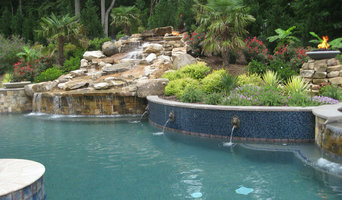 Installed properly, these materials will offer your pool a life of 50 years or more. 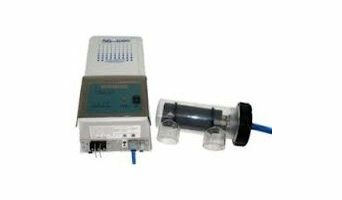 We also provide a full line of accessory items and other pool-related products. Our Precision Pools ingound pool kits do-it-yourself pool kits include the materials and instructions for a professional in-ground swimming pool. In fact, once your ingound pool kit is installed, it is impossible to distinguish one of our Precision Pools ingound pool kit from a pool constructed by a professional craftsman. We deliver all pool products, inground vinyl pool liners and the ingound pool kits to the job site within our area, ship LTL common carrier, UPS, or FedEx. We accept Visa, MasterCard, cashier checks, cash, money orders, and personal checks with verification.